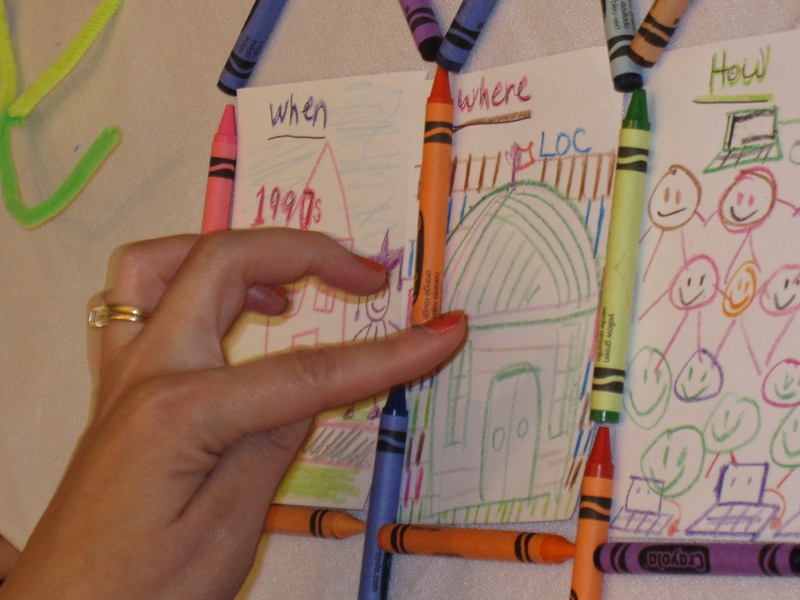 Mentoring has been a passion of mine for nearly two decades. In the May 2002 issue of Business Information Alert, I published an article on mentoring: A Call to Mentoring. The books referenced are now from a previous decade, yet their messages stand. 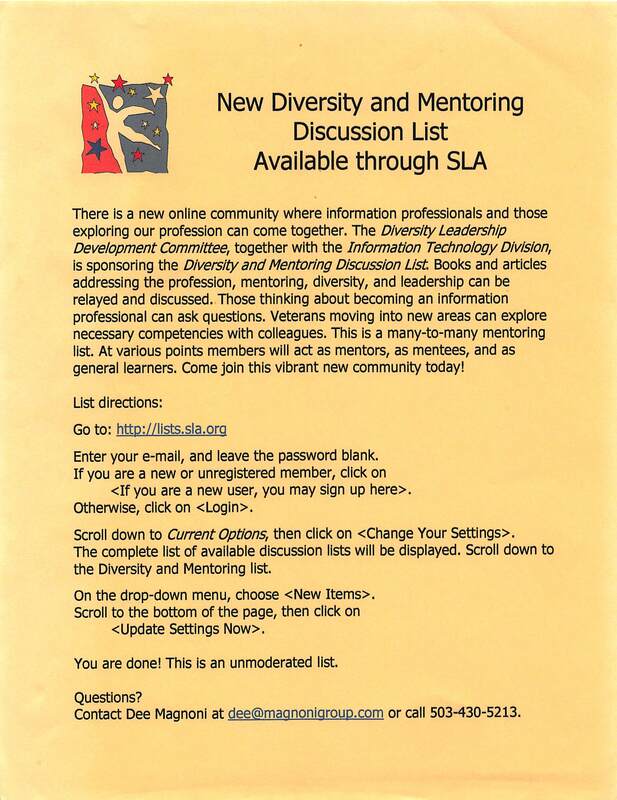 In addition to the article, an SLA mentoring list was created in 2002. The list no longer exists, but as we begin to partner and work across units, perhaps the time has come to renew this effort? 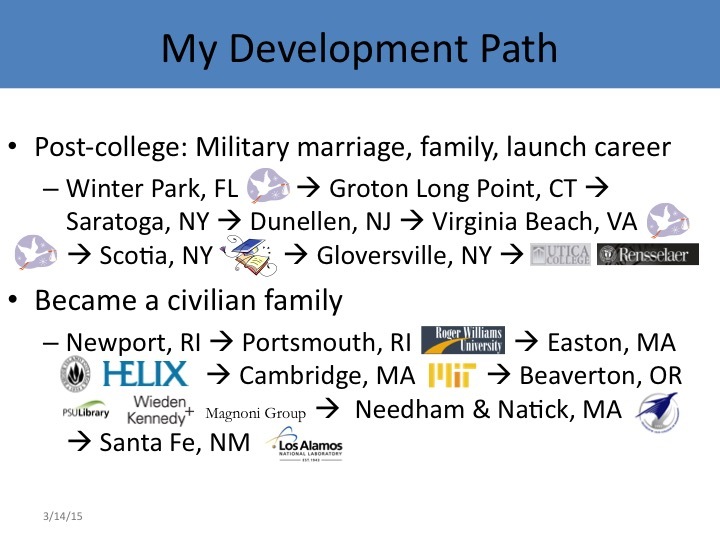 Looking for a great, current mentoring resource? Try one of these! Assembling Your Personal Board of Advisors. Yan Shen, Richard D. Cotton, Kathy E. Kram, MIT Sloan Management Review. Spring 2015. The New Meaning of Workplace Mentorship. Laura Vanderkam, Fast Company. January 16, 2015. One Engagement Strategy Does Not Fit All. Natalie Baumgartner, Harvard Business Review. November 26, 2014.